Combine business and pleasure with Hurtigruten's incentive programmes. Enjoy the midnight sun in summer or the northern lights in winter on a cruise along the coast of Arctic Norway. Hold a business meeting in an extraordinary setting: invite your team to see the famous Norwegian fjords on board a Hurtigruten ship. The journey begins with a lovely dinner and a nice evening on board Hurtigruten. Participants can arrive from 04:00 pm and the ship sets sail at 10:30 pm. After a good night’s sleep you are ready to kick off your meeting in the conference room. At noon, the ship stops for three hours at Ålesund, where you may join a guided tour of the city which is famous for its Art Noveau architecture. In the afternoon, you can continue your business meetings on board. The evening is spent admiring the dramatic fjord landscape accompanied by the sunset and Hurtigruten’s freshly prepared dinner. Hurtigruten arrives at Trondheim at 06.00 am, but do not worry – you will have plenty of time to check out and have a final business meeting if required. Of course you are also free to join one of Hurtigruten’s excursions in Trondheim, for example visit the medieval Nidaros Cathedral or the Ringve Music Museum, or go on a trip to the island of Munkholmen, which has an intriguing history going back to the Viking Age. From NOK 1,500 per person per day, including one night’s accommodation (double room), breakfast, lunch and a three-course dinner, access to meeting rooms and two coffee breaks. For more information about this and other incentives with Hurtigruten, phone +47 970 57 030 or send an email to mo@hurtigruten.com. 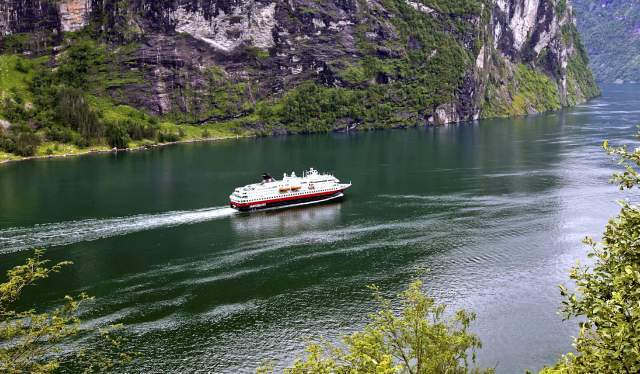 A four-day spring incentive (1 April to 31 May) suggestion with Hurtigruten from Tromsø to Trondheim, with a string of spectacular nature attractions on the way. The adventure starts with dinner at a fine local restaurant before the Hurtigruten ship arrives at 11:45 pm. 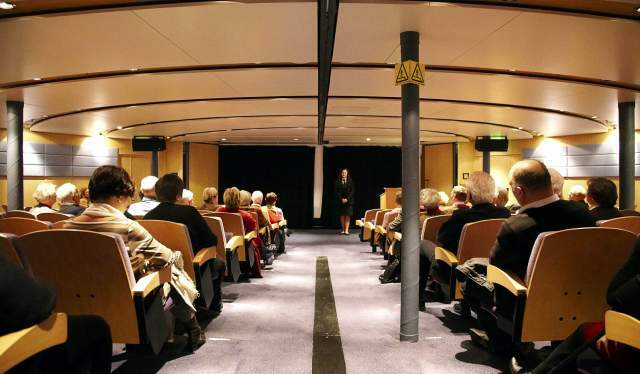 Spend a productive day in Hurtigruten’s conference rooms. 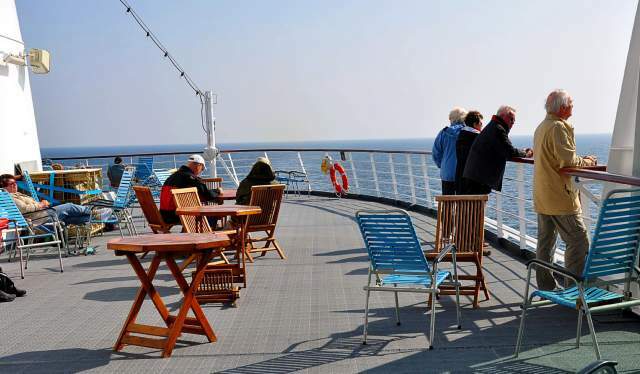 It is recommended that any meetings are concluded by 04:00 pm, when the ship passes through the stunning Raftsundet Sound, so that everyone has a chance to admire the view of the snow-capped mountain peaks. At Raftsundet there is a possibility to go on a sea eagle safari and get astonishingly close to these rare birds of prey. The gorgeous Helgeland Coast is a great incentive for getting up early the next day. A little later, you will pass the Arctic Circle, the UNESCO-listed Vega Islands and the mountain range the Seven Sisters (De Syv Søstre). During the day, there is plenty of time to continue your business meetings without having to worry about missing anything – you will be notified as the ship approaches the natural attractions. In the afternoon, you will enjoy a farewell dinner against the backdrop of the mythical Torghatten Mountain with the peculiar, round hole that goes right through the rock. Arrival at Trondheim early in the morning, conclusion and travel home. Conclude your business meeting against the backdrop of the remarkable Arctic landscape, with local seafood delicacies like king crab for dinner (available 1 November – 31 March). 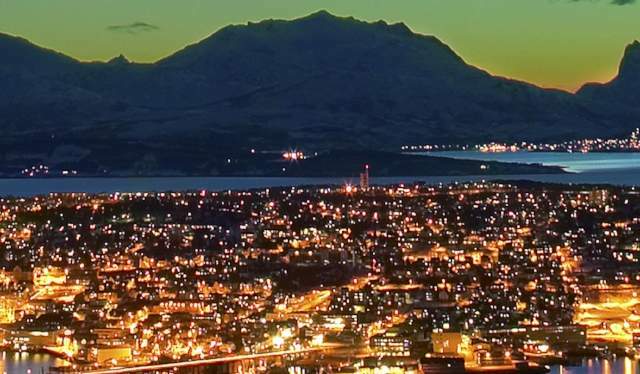 The Hurtigruten ship departs from the city centre at 06:30 pm. A three-course dinner made with fresh, local ingredients will be served in the restaurant. Start the day with a few hours in the conference room while the ship sails towards Finnmark via Magerøysund and the town of Hammerfest before arriving at Honningsvåg by the spectacular North Cape cliff. After Honningsvåg, the ship continues to Finnkjerka, where a local fisherman delivers fresh king crabs that will be included in a delicious seafood dinner later in the evening. When Hurtigruten arrives at Kirkenes by the Russian border, you are further east than Istanbul and St Petersburg. Before the return journey, you may continue your business meetings or take the opportunity to join Hurtigruten’s excursion. 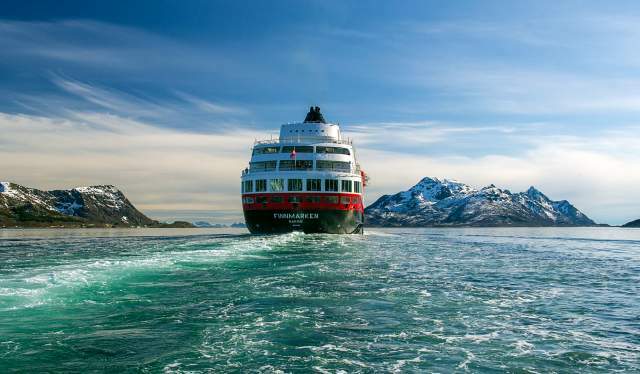 Hurtigruten offers inspiring incentives with the added bonus of having meeting facilities, accommodation, food and excursions in the same place. Turn your business meeting into an extraordinary experience with Hurtigruten’s incentive programme. Exciting excursions in the surroundings of the beautiful Norwegian coastline can work wonders to get the creative juices going. Watch a sea eagle catch its prey, drive a dog sledge or feel the adrenaline flowing on a trip in a RIB-boat, and in between meetings, participants can go out on deck for some refreshing sea air and return with a clear mind. In the winter, you have excellent chances of seeing the northern lights and in the summer you are blessed with the glow of the midnight sun. What do previous conference delegates say? Tromsø - dog sledding: Join a miniature polar expedition. Eager huskies will whisk you through the frozen landscape, sure to thrill and enchant. Honningsvåg - the North Cape: Join an expedition to the iconic North Cape, where only the Svalbard Islands separate you from the North Pole. Kjøllefjord - scooter trip in Lapland: Drive through the beautiful Arctic landscape from Kjøllefjord to Mehamn on board your very own snow scooter. You might even be lucky and see the northern lights in a clear starlit sky. Kirkenes - snowmobile safari: Drive snowmobiles on a frozen fjord and hear more about the history of the Sami people and the local flora and fauna. Kirkenes Snow Hotel: This hotel is built out of snow and ice. Every year the snow hotel boasts beautiful ice sculptures and artwork. You will also have the opportunity to meet grazing reindeer nearby. Husky adventure: The huskies are harnessed to your sledge, eagerly waiting to transport you across the frozen landscape on a mesmerising ride. The Russian Border: Hurtigruten's turning point is Kirkenes, the only town in Norway where east meets west. You will visit the border with Russia. All excursions are subject to availability and may vary from route to route.